INTERSECTION classes at Central Baptist Church in Victoria, B.C. DNA as Language – Evidence of Intelligent Design? Binary code language is any “alphabet” made up of only 2 letters. Such systems date back to at least 1679 when a french mathematician by the name of Gottfried Leibniz discovered that using the numbers 1 and 0 could create a mathematical language able to store any amount of information. In our modern day world of computers and software programs, this exact same system is used. The 1’s and 0’s in our hard drives store pictures, videos, text and allow us to Skype each other around the world and play live action video games. 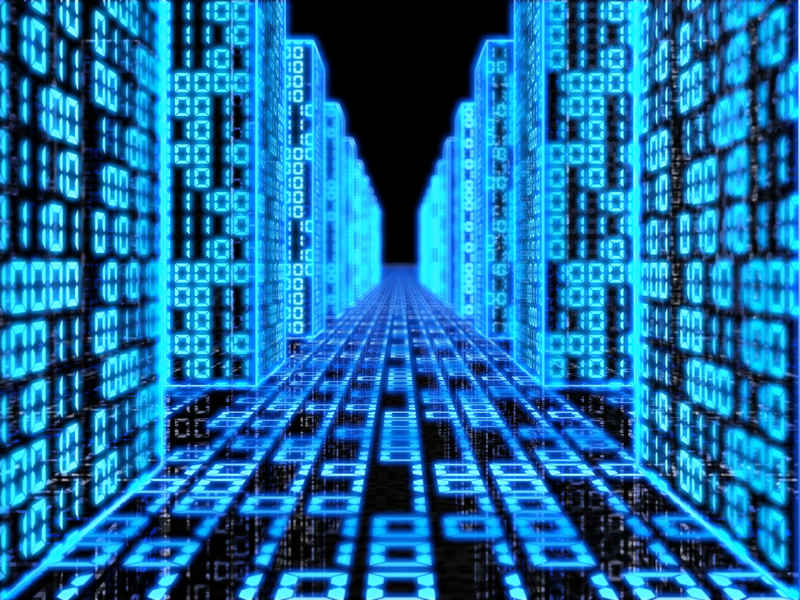 This uber-fast and hyper-dense world of information is predicated on the simple but powerful system known as binary code language. After Leibniz’ work others also utilized the binary code system to transfer information. In 1829, a young blind man by the name of Louis Braille published his work on a two “letter” system of raised and non-raised dots which allowed people to read by rubbing the dots with the tips of their fingers. To this day it is the preferred method of reading for those who’ve lost their sight. Another example of binary code language is the Morse Code. After helping to invent the telegraph machine in the mid 1800’s, Samuel Morse went on to help originate the binary code language of “dots and dashes.” A binary code system that is still in use by aviators and military personal to this day. In short, these small alphabet languages are the most effective information transfer systems we have ever discovered. Interestingly it was in the 1900’s that mankind looked inward and discovered within his own cells the most information-rich language code system in the known universe: human DNA. 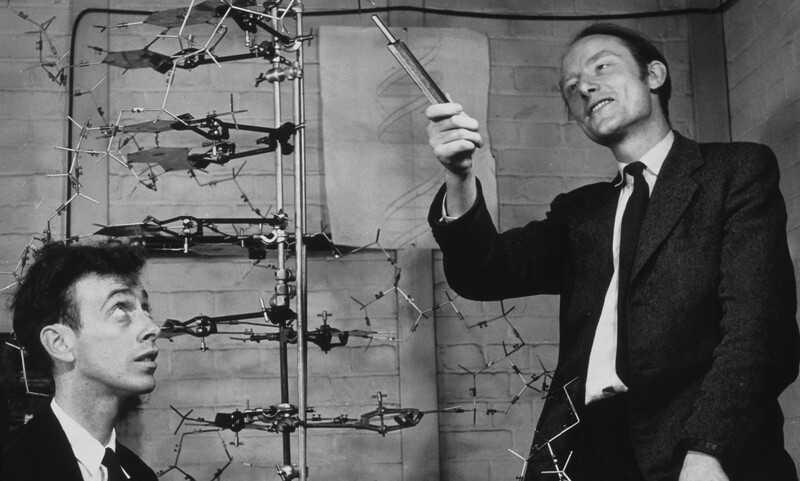 Francis Crick and James Watson were two British scientists who uncovered the core of what makes biological organisms tick. And it was reems and reems of information held in a four letter language. 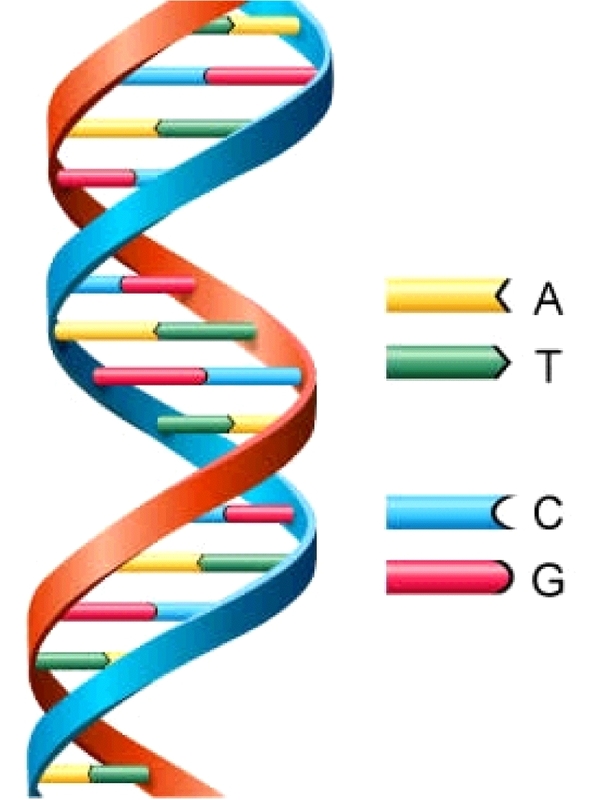 Deoxyribonucleic Acid, or DNA, is a four letter alphabet comprised of large, interlocking molecules. These macro-molecules connect like lego. Although they are made up of 4 different molecules (adenine, thymine, cytosine, guanine), these can only lock together in two types of pairs. Adenine can only bond to thymine (the A-T “letter”) and cytosine only works with guanine (the C-G “letter”). Yet they can be arranged as A-T or T-A as well as C-G or G-C, thus forming a four “letter” alphabet and classifying it as a quaternary code language. Exactly like the 1’s and 0’s of software programming guide every aspect of our video games, internet browsing and computer activity, DNA programs every ounce of our bodies. In the year 2000, the Human Genome Project was completed. This massive enterprise read every single A-T and C-G letter in human DNA. As a result, we now know that our binary code language is made up of over 3 billion letters or 600,000 pages of information. Our famed encyclopedia Brittanica had 32 books in all. Our DNA represents over 30 times that much information. The color of your eyes, your bone density, the amount of cholesterol you naturally create and almost every conceivable detail that makes you a unique individual is literally written in computer language in your DNA. And every single cell in your body carries a full copy of this massive library in such a small “hard drive” that you could fit tens of thousands of copies on the head of a pin. You would only need one of these micro machines to recreate the blue print for your entire body and chemical make-up. (VIDEO) : Darwin’s Dilemma: Intelligent Design or Evolution?